3 Kapwo App – How To Earn Paytm Cash? 4 How To Play Kapwo app Multiplayer Game? 6 How To Redeem Kapow app Balance? Kapow game loot– Hi avjtrickz Readers, do you remember BulbSmash?. We all earned lots of paytm cash from it. We are now come back with another app, Kapow from which you can earn Paytm cash by playing games with your friends. They also have referral program to earn more cash. This app allows you play games with your friends. For free. And no ads either! Get your friends along and play as long as you want. It is same app as BulbSmash and Bulb smash cash. There is only difference in game play. 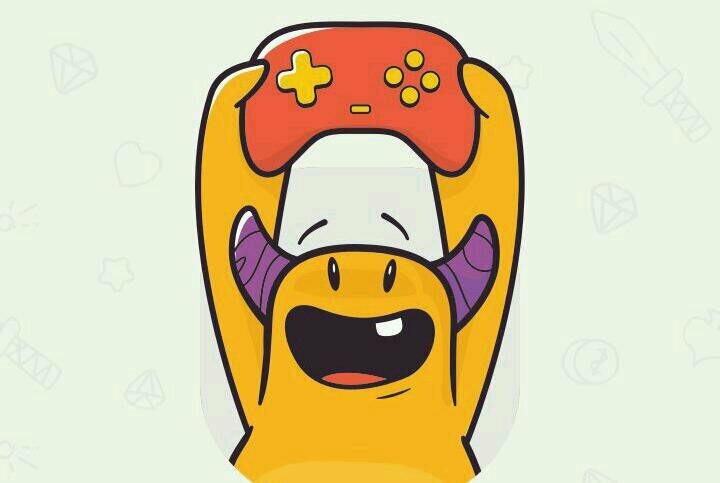 Kapwo app also support multiplayer game in non real time basis. Both apps are genie and giving paytm cash for referring friends also for playing games. 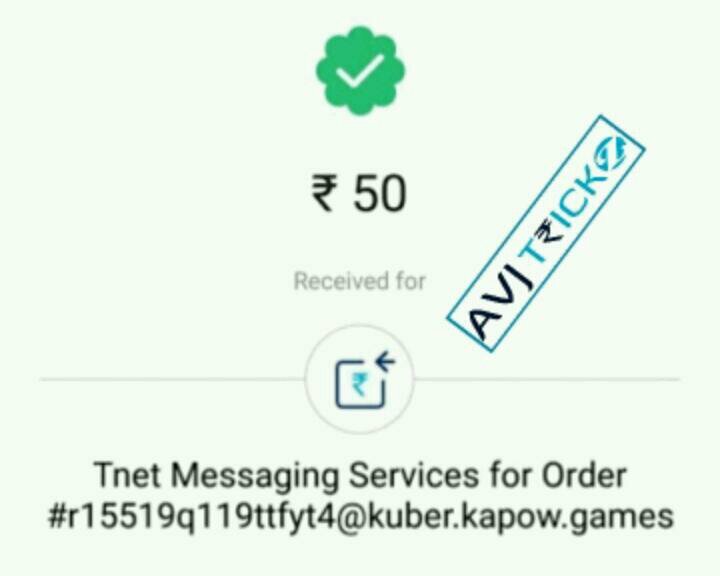 Kapwo App currently giving Rs 10 paytm cash per refer when they play their first multiplier game. Also you will get paytm cash if you win the game. Minimum redeem amount is only Rs 50. Kapwo App – How To Earn Paytm Cash? After that Login Via Facebook. Allow Permission & Connect The App With Facebook. You can see Many games there. Select one of them & It Will Take 10-30 sec To Install It. Done! You are ready to play and win paytm cash. How To Play Kapwo app Multiplayer Game? Firstly click on profile icon below left. Then you will see your fb friends below your profile picture. After that click on Game icon from right side of any online friend. Then start to play the game. If you win the game your account will credit paytm cash. Yes, you can refer your friends & earn unlimited Paytm cash. Currently they are giving Rs 10 on signup and Rs 10 per refer and here we will tell you how to refer and earn? Firstly Open App & Click On Profile Option. Then Click On Invite Friends And Earn. 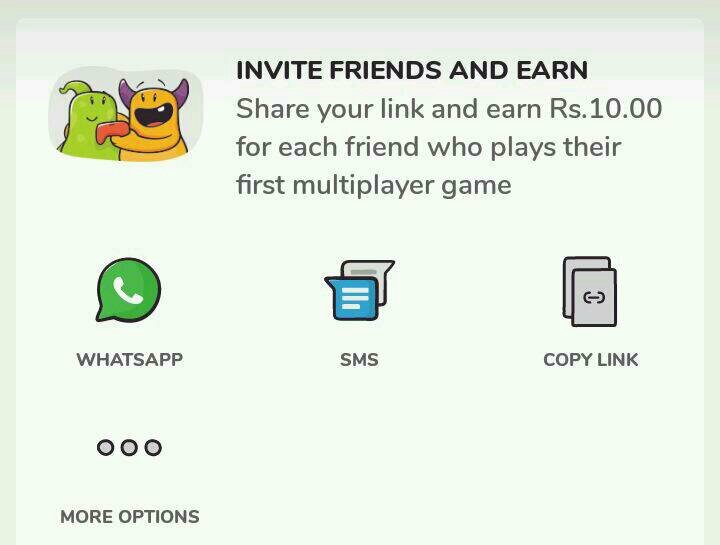 Once Your Friends Play their first multiplier game then You will Get Rs 10 As Commission. How To Redeem Kapow app Balance? You can redeem your earnings into paytm with minimum redeem amount Rs 50. Firstly Open App & Go-to Profile Option. After that Enter Paytm Number & Amount. Then redeem your amount and you will get paytm cash in your account within one week. Stuck in class? A long commute killing your happiness? Play games across genres including puzzles, racing games, zombie shooters, and sports. 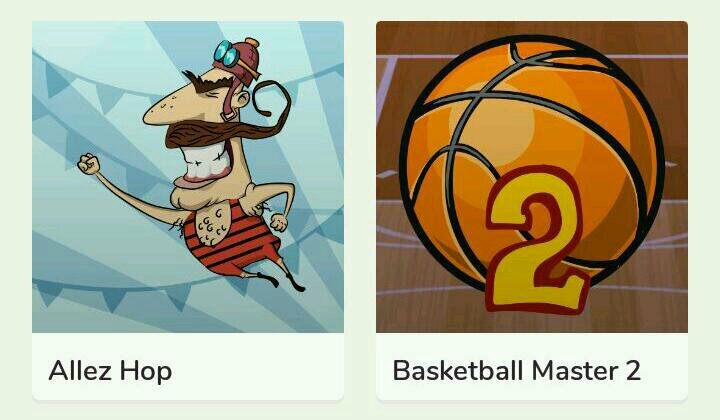 Kapow brings you new games every week, so you can play the latest and top games every day. For free. Play without any pesky ads bothering your game play. Duel with your friends on the latest games and enjoy bragging rights. Play classic games like Solitaire, Chess and Battleships. If you like Scrabble, Ruzzle and Boggle, our Wordingo and Word Duel will keep you busy for hours. Download Kapow app now, it is more fun with friends. Invite your friends and earn real cash when they play their first multiplayer game. Useful information thanks for sharing with us..